My philosophy when teaching performance is quite simply – do it. I won’t and frankly can’t just lecture about it. The students must experience it by doing it to fully understand the creative process. Generally, in fundamental or beginning performance classes I don’t touch text much until half-way through the semester. My goal is to get them in tune with their own creative impulses and intuition. Then we hit text and the beginnings of textual analysis. Of course advanced acting and scene study classes closely analyze the text in depth for action, story, and character. Although I do believe in some fundamental concepts which apply to both stage and screen, I do not prescribe to a particular technique. I try to expose the students to a multitude of theories knowing that no two actors respond the same way. It’s a business and must be approached accordingly. The actor, along with intensive acting training, must understand the basics of marketing and branding. Although the actor may think they can play any and all parts, the industry will most likely disagree. The actor cannot be shy about networking and building their own network. It is imperative that every professional actor have a website that is current, engaging and informative. So my ultimate perspective is that the actor must be adept in both the creative AND the business aspects of this profession in order to achieve the desired success. Rick retired Emeritus as Chair/Artistic Director from the Theatre Department at Southwestern University. He divides his time between New York City and Austin. In New York, Rick starred in the short film The Silver Fox, as well as numerous voiceovers for both commercials and video games. He also appeared in the world premiere of Night Tide at Playwrights Horizons Theater. In addition, He played Billy Flynn in Chicago and Mac Duff in Macbeth for Frog & Peach Theatre Company. In Austin Rick was a member of the Austin Playhouse Acting Company and has appeared in many productions including The Mystery of Edwin Drood (Jasper), Amadeus (Salieri), The Importance of Being Earnest (Lady Bracknell), Other Desert Cities (Lyman), and Man of La Mancha (Don Quixote). Zach Scott Theater: Xanadu (Danny/Zeus), the world premiere of Steven Dietz’s Mad, Beat, Hip and Gone (The Albert’s), Christmas Carol (Fezziwig, Old Joe) and the Texas premiere of All The Way (Levison, McCormack, LBJ u/s). Austin Shakespeare: Twelfth Night (Orsino) & (Toby Belch), A Midsummer Night’s Dream (Oberon). Off-Broadway: Bittersuite: Songs of Experience (Quaigh Theater). National Tour: Shenandoah w/ John Raitt & Liz Callaway (James). Rick has directed over 40 productions in Los Angeles, Austin, and New York. 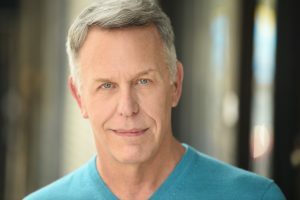 In addition, Rick received his Ph.D. in Theatre History/Theory/Directing Styles from UCLA and is the author of Charles Ludlam and the Ridiculous Theatrical Company (McFarland, 1998 and 2010).